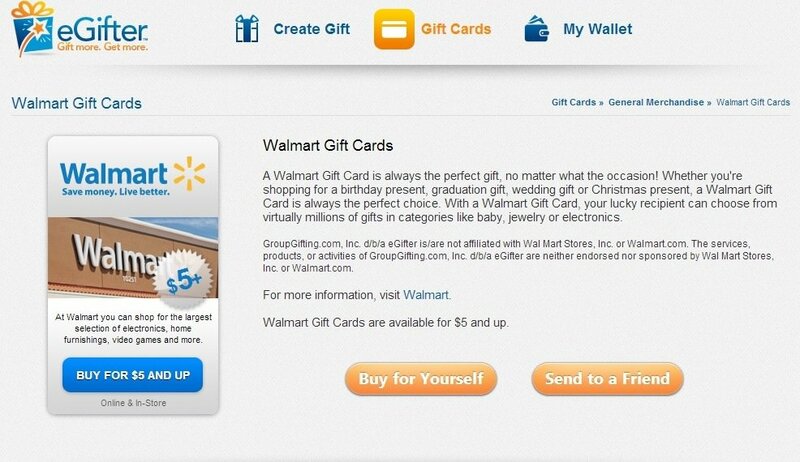 The cryptocurrency-friendly digital gift cards platform eGifter has added a major brand to its list with dozens of merchants: the giant Walmart is their new partner in business. The company used Bitcoin’s sub-Reddit to announce the news. “You guys asked us for more ways to turn your Bitcoin into real world purchases – especially groceries – so today we added Walmart as one of our 100+ brands. Buy Walmart Gift Cards for yourself, or as a gift for a friend. Don’t forget to tell us what other gift cards you’d like to be able to buy with Bitcoin at eGifter!”, it’s possible to read here. This means you can now exchange your Bitcoins for e-cards that will go on your smartphone and pay for groceries or gas without using fiat currency. Basically, it’s another major step in the direction of mainstream adoption. eGifter opened recently with more than 100 brands, which now “accept” Bitcoin in the form of gift e-cards. The platform’s web and mobile apps operate via Coinbase, enabling cryptocurrency users to purchase from brands like GameStop, Home Depot, CVS and now Walmart.